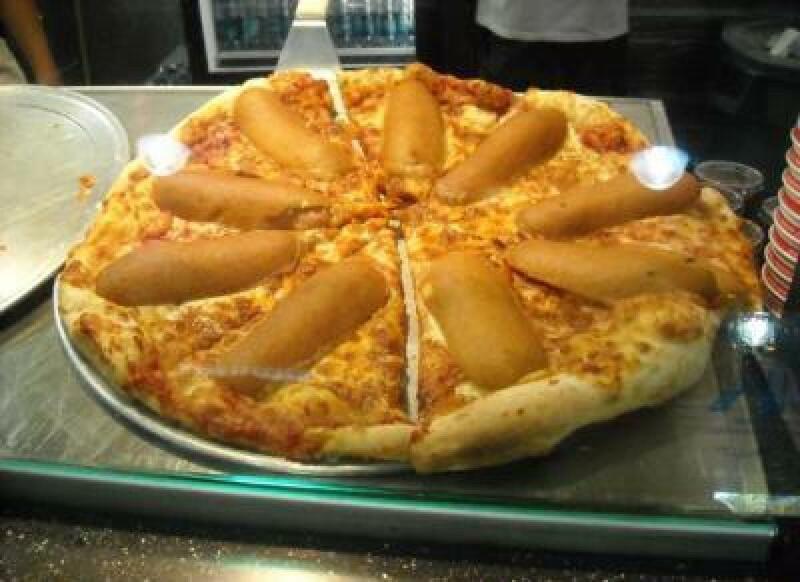 Brace yourselves, because Pizza Hut's hot dog stuffed crust pizza -- which previously had been safely confined to the U.K. -- has crossed the Atlantic. It arrives in Canada stores on October 15. The pies, which feature crusts stuffed with Angus beef hot dogs, each come with Heinz Ketchup Dip and Heinz Honey Mustard Dip. Yep, ketchup and honey mustard to go with your pizza. Pizza Hut Canada's web site hasn't yet announced the offering, but is teasing that "Two Worlds Will Collide" alongside a countdown and an image featuring a pizza cutter and a pair of tongs. The hot dog stuffed crust will only be available in Canada until November 25. We have to wonder: how long until it makes its U.S. debut?